Are declining Chinese student numbers a casualty of diplomacy or just poor branding? 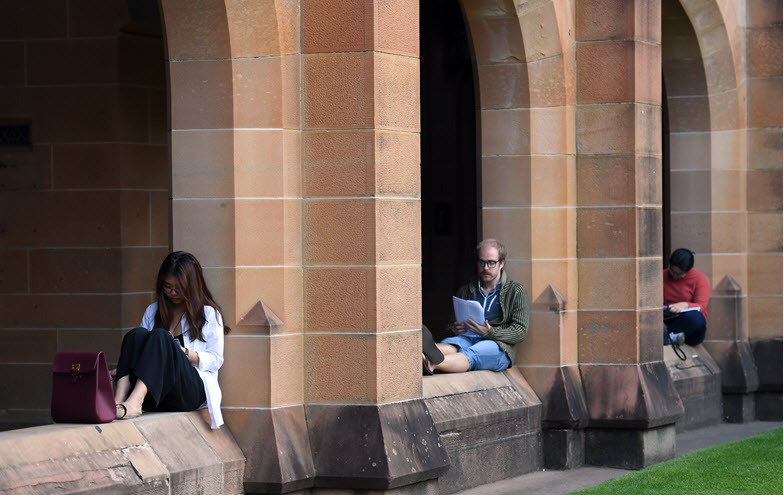 Data released by Austrade have shown that the number of visas issued to Chinese tertiary students has dropped for the first time in years, amid ongoing claims of interference by the Chinese government. Forget the boats. Hundreds of thousands of Chinese people have flooded into Australia, and no one seems to be taking the threat seriously. The government's continuing war on higher education funding reflects a decades-old mentality that universities only have economic value. The left have been quick to trumpet the Australian Human Rights Commission's "Changing the Course" report on sexual assault on university campuses, but the report plays fast and loose with statistics. Christopher Pyne's bungling of his higher education reforms demonstrates the flaws that have bedevilled the government -- and it's not even clear the government is aware of them. The Australian's "exclusive" on the apparent left-wing brainwashing in uni media courses sells students short, writes UTS J-school student Max Chalmers. Clarifier: should universities ditch research? The federal government has suggested that universities be allowed to drop research and instead become teaching-only academies. Is this idea a goer?